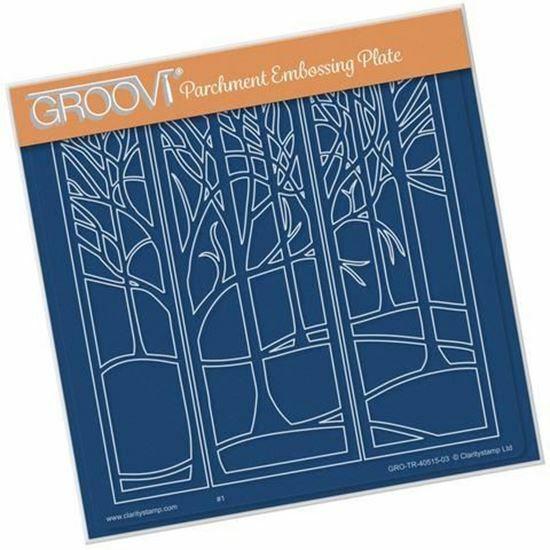 Treescape Groovi Plate A5 Square 148mm x 148mm Groovi Plate Designed Groovi plates. Simply follow the design path through parchment and the results will be amazing! For best results from the Groovi Plates and Groovi Plate Mate, use the 0.8mm - 1.3mm embossing tool. Woodland Animals Groovi Plate A5 Square 148mm x 148mm Groovi Plate Designed Groovi plates. Simply follow the design path through parchment and the results will be amazing! For best results from the Groovi Plates and Groovi Plate Mate, use the 0.8mm - 1.3mm embossing tool.